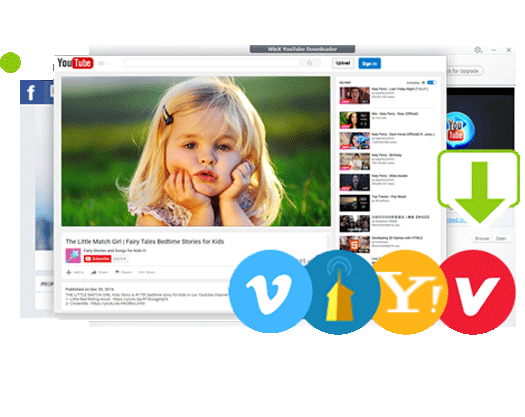 Best free online video downloader to batch download movies, music, playlists, live videos, etc from YouTube, Facebook and 600+ sites. 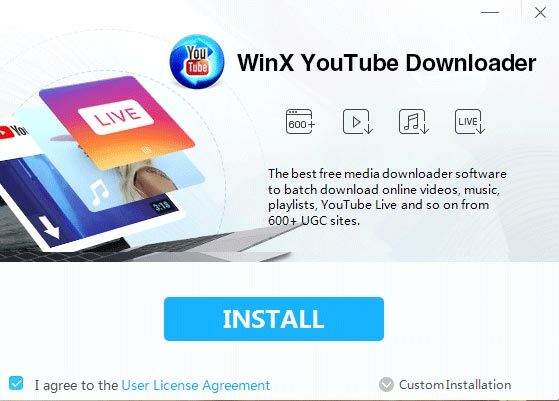 Free download the setup file of WinX YouTube Downloader. 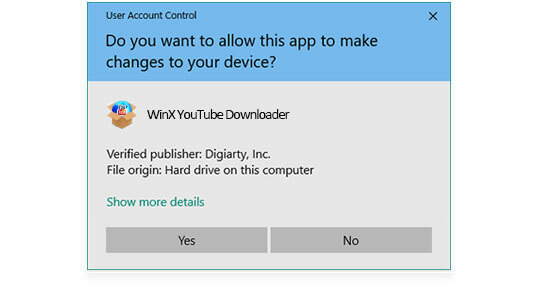 1 Double click "winx-youtube-downloader.exe" to install it. 2 Click "Yes" if the User Account Control (UAC) window pops up. 3 Click "I agree to the User License Agreement" and then click "INSTALL" to go on. 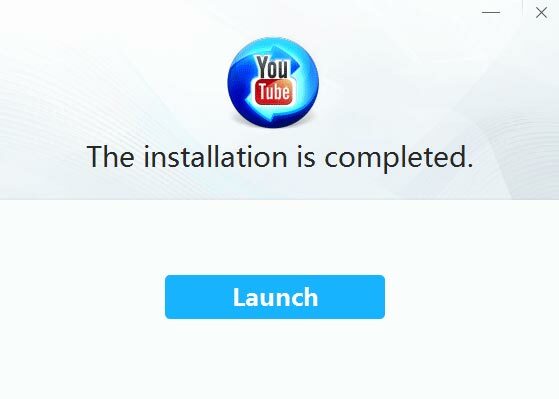 4 Wait a few seconds for completing installation, then click "Launch". 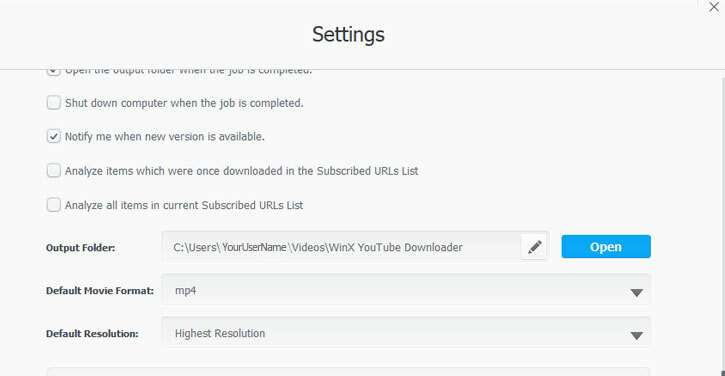 5 Now you can see the main interface of WinX YouTube Downloader as below. 1 Click the "+ Add URL " button on the main UI. 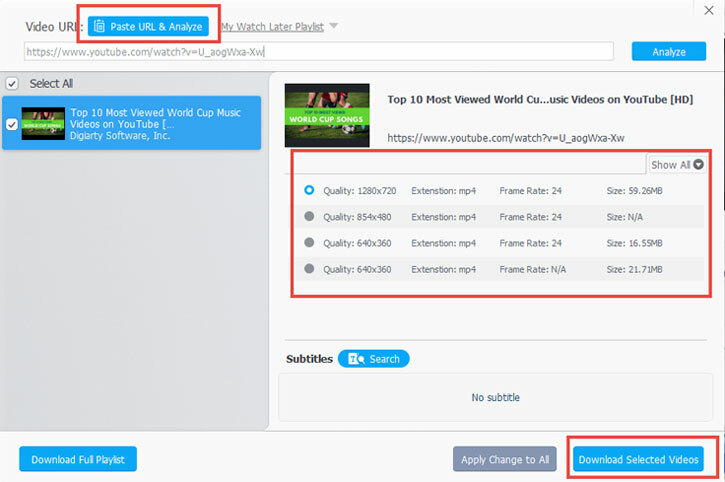 3 Select your desired output quality and format, and click "Download Selected Videos". 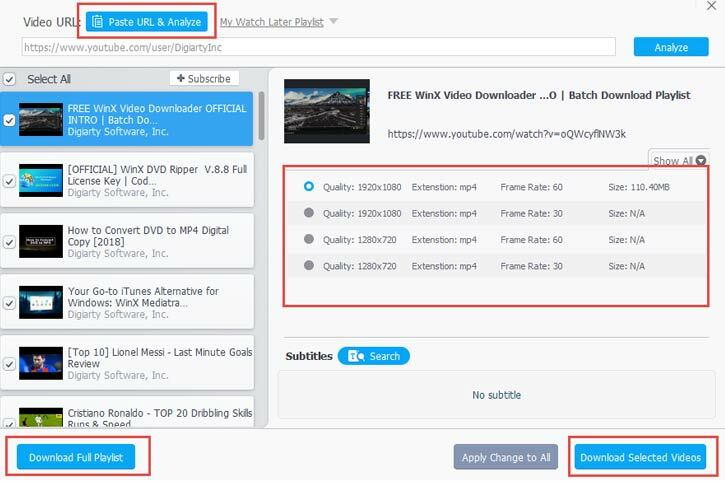 ※ Tip: WinX YouTube Downloader lets you batch download files. Just repeat step 2, 3, 4 to load other video or music files. 4 Click "Browse" to choose an output folder for the downloaded video. Hit the "Download now" button to start video / music downloading. 1 Click the "+ Add URL " button. 2 Copy the URL of the playlist / channel in your browser, and then click "Paste URL & Analyze" button. Then you'll see all videos in the playlist or channel in a column. 3 Choose the output quality and format you want. 4 Click "Download Full Playlist" button to batch download all videos at one time, or choose some of the videos and then click "Download Selected Videos". 5 Click "Download now" to save videos offline. You can also click "Browse" button to target output folder before downloading. 1 Click "+ Add URL" button. 2 Search the live streaming on YouTube and copy the URL. 3 Click "Paste URL & Analyze", then select one output version in the list. 4 Click "Download Selected Videos". 5 Then, click "Start Recording" button to download and record YouTube live. Also, you can customize the "Start Time" and "Duration" by clicking the "pencil" icon and stop recording at any time. ※ Tip: You can also search relevant subtitle for the downloading video. Simply click "Search" button, this free online vide downloader will list all available subtitle(s) according to language. Click the gear-like "Settings" icon on the top-right corner of the main interface. Default movie format: MP4, FLV, 3GP, WebM. Choose your preferred one. Default resolution: Set default resolution for the downloading video: 1080p, 720p, 480p, etc.